SXSW Review: STUFFED Breathes Life Into The Fascinating Art Of Taxidermy | Birth.Movies.Death. When Executive Producer Rachel Price approached Director Erin Derham to make a documentary about taxidermy, she reacted the way many people do - with hesitation and repulsion. Derham is an animal lover, vegetarian, and has a Masters of History with a focus on Environmental History. She did her graduate thesis on a woman who turned her backyard into a woodland bird and animal sanctuary while she was fighting the government to stop the use of DDT (a dangerous chemical compound infamously known for its environmental impacts). What Derham didn’t realize was that her morals and passion for animals, nature, history, and science all align with the art of taxidermy. However, like art itself, there’s room for interpretation, and unfortunately, many people misconstrue the craft and the artists behind the profession. Derham’s documentary, Stuffed, dissects the taxidermy industry with an insightfully creative lens and shows how life and death can sometimes be one in the same. The opening credits of the documentary consist of animated photos including pencil sketches, watercolor paintings of various animals, and graphics from anatomy books. It is established from the beginning that taxidermy is an artform, and its craft is an amalgamation of science and art. The structure of the film is stitched together seamlessly to spotlight the lively characters behind various taxidermy methods. Derham takes audiences on an intimate tour through their workshops, museums, exhibitions, and boutiques. We see the sculpting of clay behind the molding process, prismatic feathers carefully situated to emphasize a bird’s distinct movements, the fur delicately skinned off an ermine, and even the preservation of Lonesome George - a male Pinta Island tortoise who was the last of his species. The film’s primary focus is to reduce stigma by focusing on the art, preservation, and science of the craft - and it succeeds perfectly. All of the taxidermists mentioned in the documentary emphasize some sort of art form involved in taxidermy whether that be sketching, sculpting, or adjusting the animal to a natural position for an exhibit or even a high fashion magazine spread. With a history in art direction, Ferry van Tongeren and Jaap Sinke use their skills to work after the 17th century painters who stage animals in a manner that highlights all of their eclectic features - a technique in which they make fairytales out of nature. Travis C. De Villiers, a South African transplant, studies nature and sketches the movement of wild animals in their natural habitat. He emphasizes that “the art of taxidermy is the combination of being an artist and being a naturalist.” Like many of his colleagues, he understands the importance of capturing the animal’s expression, and even their personality. Deviating from traditional taxidermy, the art of rogue taxidermy is an artistic movement and new genre focusing on uncanny hybrids and abstractions with a pop-surrealist flair. From a scientific perspective, taxidermy is an educational tool meant to inform and preserve. One may not be able to bring a cougar into a classroom, but they can bring the skin of one to put on display which allows for a tangible, tactile experience. The dioramas seen on display in natural history museums utilize taxidermy to recreate animals in a scientific manner while archiving species that may no longer exist. Author Jay Kirk discusses his book Kingdom Under Glass, an in-depth look at Carl Akeley, the father of modern taxidermy who was a pioneer in the field utilizing his skills as a sculptor, biologist, conservationist, nature photographer, and inventor. There’s also various methods of taxidermy with a chemical focus including diaphanous taxidermy or diaphonization. This process sheds the skin altogether and instead highlights the cartilage and bones, dyeing them vibrant colors through fractal index in order to illuminate transparency and recreate the shape of an animal with a gelatinous substance that makes them “feel like a gummy bear with bones”. Avoiding invasive measures, diaphonization enables scientists to identify internal structures as they exist in the body without any risk of displacement and therefore show how they interact with the world. Piggybacking off its scientific notions, the conservationist approach in the documentary emphasizes that “caring about nature is protecting nature”. This can be seen as far back as Carl Akeley in the early 1900s when he managed to persuade the Belgian government to create the first wildlife sanctuary in Africa to preserve the mountain gorillas that were being killed off for sport or museum displays. It’s emphasized that there needs to be a connection with animals and nature especially among the worldwide issues regarding pollution, extinction, and poaching. The general perspective of taxidermists tends to be mostly masculine and some view the craft as macabre or assume there’s some sort of unhealthy fascination with death. In reality, life is the driving force behind their work. Stuffed introduces audiences to the characters behind the craft that are just as colorful as the animals they work on and the surprising amount of women who are at the forefront of the field. Allis Markham is one of the first taxidermists mentioned in the documentary and narrates regularly throughout. 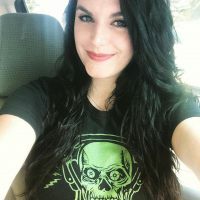 Initially a marketing professional, Allis quit her day job and became an apprentice to zoologist Tim Bovard, veteran staff taxidermist at the Natural History Museum of Los Angeles, which later allowed her to open up an all-female-run taxidermy studio in Los Angeles called Prey Taxidermy. 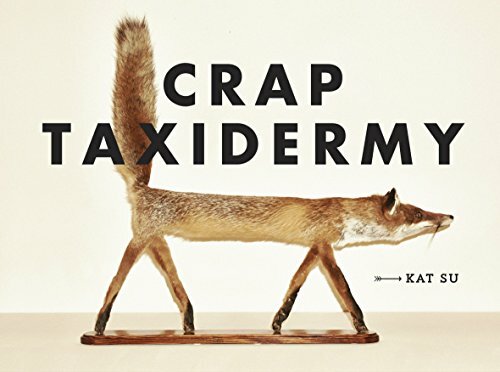 Co-founder of the avant-garde rogue taxidermy movement, Sarina Brewer states that taxidermy is rapidly losing that “good-ol’ boys club feeling” it’s had for so many years. Stuffed captures the dedicated passion of talented artists behind a stigmatized vocation in the most fascinating and entertaining manner. Composer Ben Lovett (The Ritual) sets a high-spirited and captivating tone to further relay that taxidermy is not the dark, gloomy artform that many imagine. His melodies are married in a manner which aptly describe each taxidermist’s style whether that be acoustic guitar for the self-proclaimed “Swiss taxidermist” Daniel Meng who dons a cowboy hat and jeans, or the soft and elegant sounds of the piano as Allis adjusts plumes in her hair while talking about taxidermy’s history in fashion. The world of taxidermy is far more elaborate than you can imagine, and those in the field are a unique breed of humans that deserve more respect than the stereotypes they receive. Stuffed shows us that love and art can be found everywhere - in nature, conservation efforts, science, and yes, even in death.